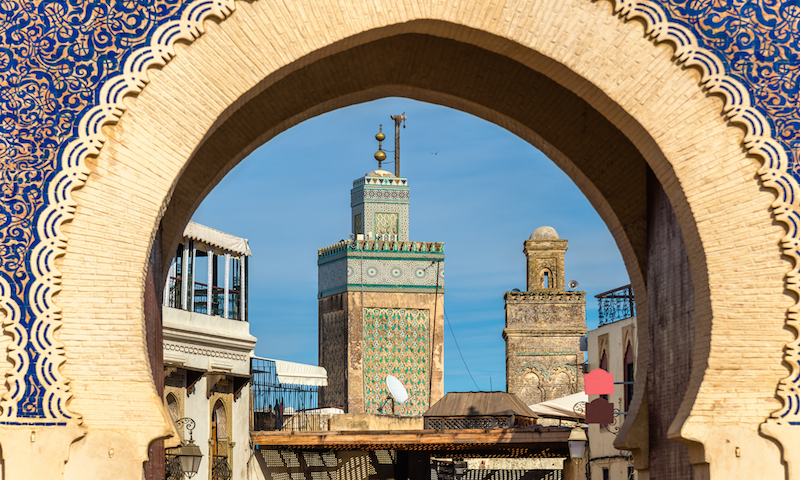 Bordered by the Atlantic Ocean, Mediterranean Sea and the Sahara Desert, Morocco offers natural beauty as well as Berber, Arabian and European cultural influences, present in its culinary traditions, lively souks, colorful architecture and historic mosques. 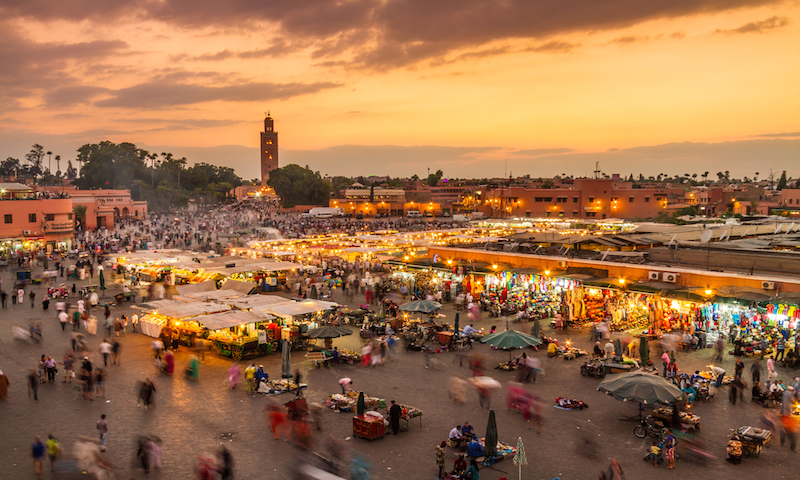 Here are the top seven things to see and do in Morocco. Fes is the oldest city in the Kingdom of Morocco — the best representation of the destination’s history and cultural traditions. 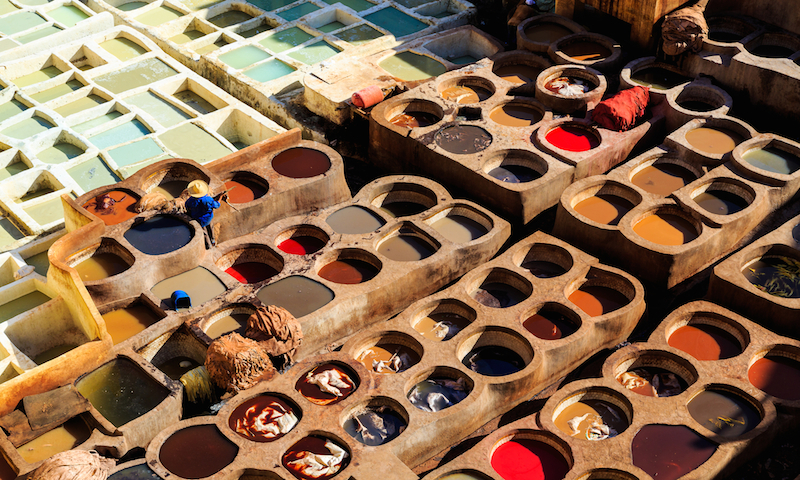 While visiting Fes, stop in at one of the iconic local tanneries, where the ancient system of treating leather is still practiced. See the impressive stone vessels and witness the natural process of leather making start to finish. 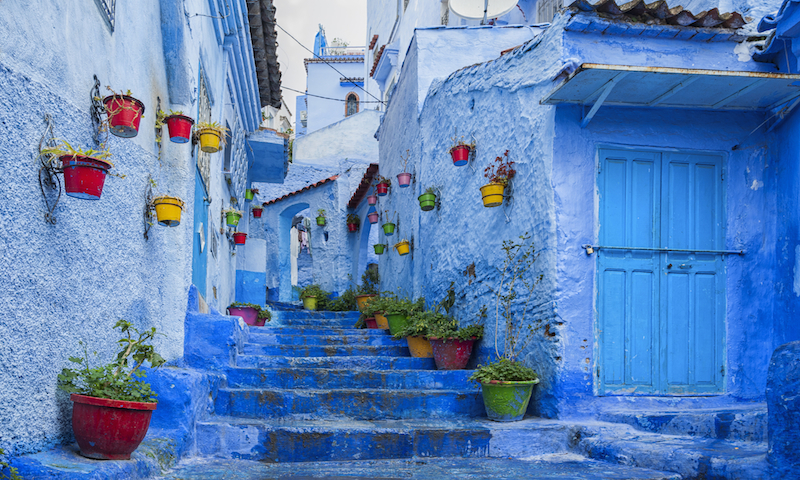 Located in northwest Morocco is the distinctive city of Chefchaouen. Noted for its buildings washed in various shades of blue, the historic city feels like a fairytale. In addition to its iconic hue, proximity to Tangier and popular shopping scene, the region is also a significant source of kief and one of the main producers of cannabis in Morocco. 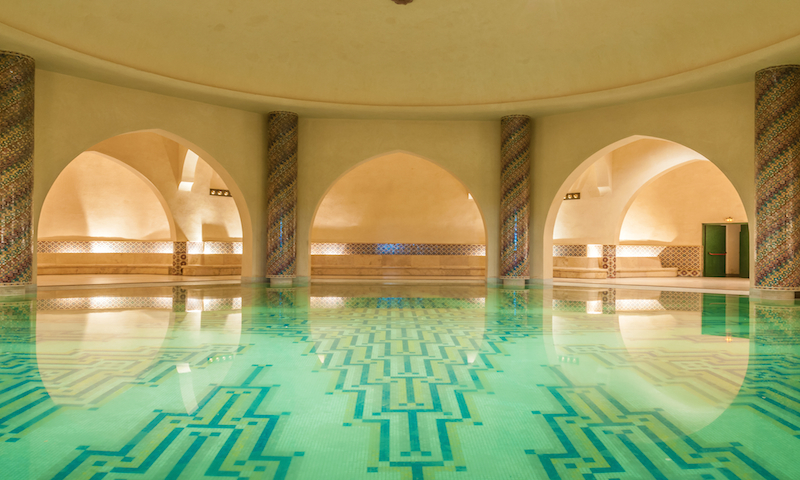 Visiting a hammam is one of the city’s oldest and most popular traditions. Combining ancient Greek and Roman practices of public baths with modern-day saunas, a hammam experience entails relaxation in a pool of water in a hot, steamed room. The public baths serve as places for spiritual cleansing, but also centers of socialization and relaxation. 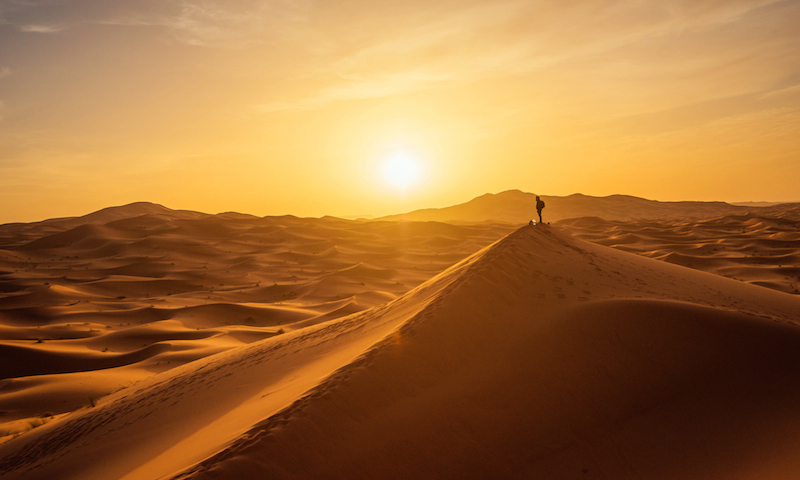 An excursion through the iconic red, rolling sands of the Sahara Desert offers an unforgettable, visceral experience. There are several options available through environmentally conscious companies, like Journey Beyond Travel, including camel treks and ATV adventures. Excursions range from two-hour trips to two-day expeditions. As the saying goes, great things take time. 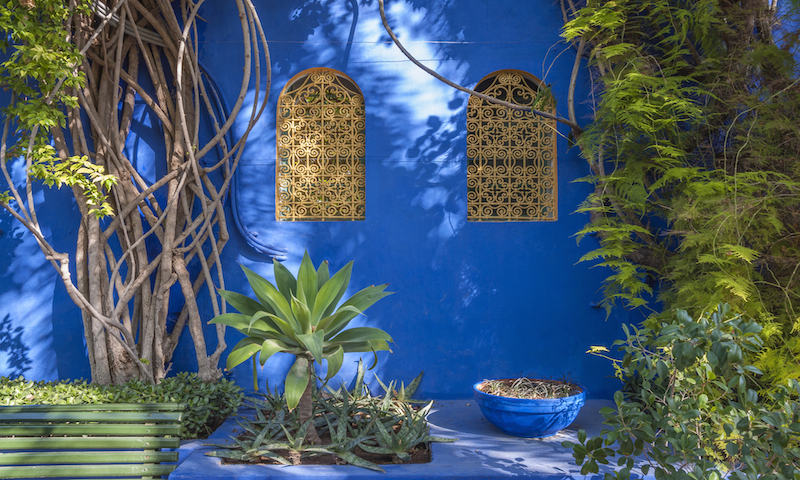 This is certainly the case for Majorelle Garden, one of the most beautiful places in Morocco — and the world, for that matter. French Orientalist artist Jacques Majorelle created the 2.5-acre botanical and landscape garden, a process that took nearly 40 years. Here’s looking at you, kid. The Hassan II Mosque is a must-see. 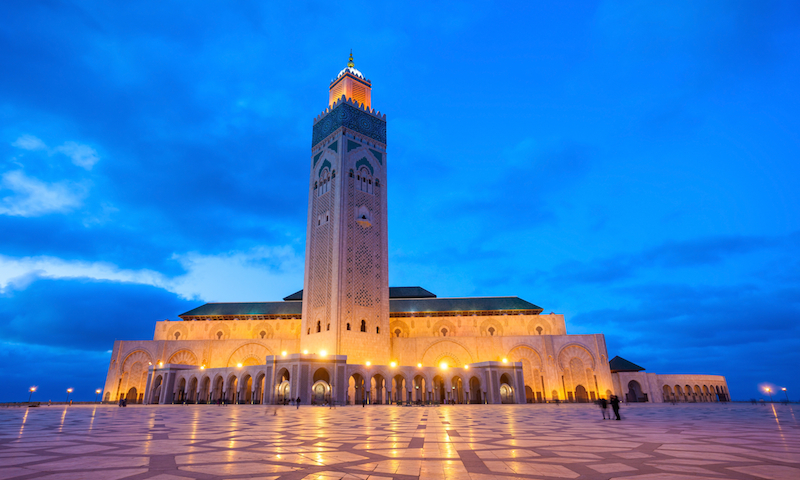 Located in the famous city of Casablanca, the mosque is Morocco’s largest with a minaret of 60 stories, topped with a laser directed toward Mecca. 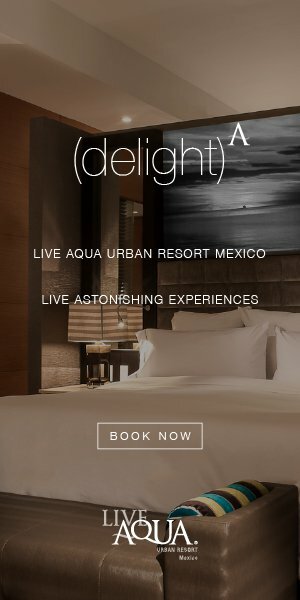 It overlooks the Atlantic Ocean with handcrafted marble walls, a retractable roof and space large enough for 105,000 people.